I am very sorry to learn this news. He really was a unique person! In the name of The Asociacion Argentina de Criadores de Caballos Arabes, and in my own, my most sincere and warm thoughts to his family and to all WAHO members. On behalf of myself, of Mr. Ibrahim Al-Subaie and the staff at the Royal Arabian studs of Bahrain at the Breeding Station, we extend our Sorrowful Condolences to Mrs. Stream and family. 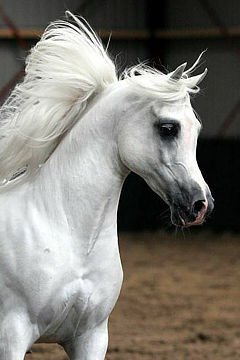 Though his body departs from us, his spirit is always with us and the Arabian Horses. May God bless his soul. Please allow us to reiterate our sentiments expressed earlier in our Letter of Condolence. We will never forget the encouragement and help offered to us in the beginning stages of our Registry and thereafter by Jay Stream, the few times we were privileged to meet face to face. His memory will always represent the quintessence of “The Arabian Horse”, perpetuated in WAHO and all Member Countries as he envisioned. Please accept my condolences for Mr. Stream. It is distressing to hear that he is not with us any more. I will always remember him as a kind, charismatic, funny and fair man, who helped to us to join the WAHO world. We’ll miss him! We are very sorry for this news and would like to send his family our sincere condolences. This is a big loss for WAHO and all its members. I was grieved to hear the news of the death of Jay Stream, establisher President of WAHO. It is a great loss to all of us. 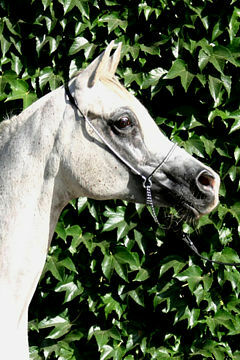 Mr Stream had always followed the Arabian horse breeding in Bábolna with great attention. 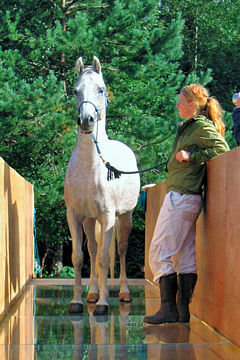 We were personally convinced of his professional calling in the breeding of purebred Arabians. We revere and still keep the photos made during his visitation in Bábolna. Please accept our deep sorrow for the loss of Mr. Jay Stream, the father of WAHO. It was with deep sadness and great sorrow I read your letter about the passing away of our dear friend Mr. Jay Stream, the WAHO President Emeritus. I’m sure we have all lost, as you exactly rightly said, WAHO’s ‘founding father’. He was really a very good friend, successful leader, and successful father for WAHO family members. Words can’t describe our sadness for this big loss. I am sorry to hear about Jay’s death. I met him first in 1998 at the Bahrain Conference and found him just the way you described him in your letter telling us the sad news. The WAHO family will miss him, but he will live on in the memories of many of us. I was very sad to hear about Jay. He was indeed a character, and very necessary for the establishment of WAHO – which helped us all immeasurably in setting up registries with rules accepted worldwide. Without WAHO it would have been a much harder battle to get the Arabian recognized in much of its original homeland in modern times as a valuable asset and piece of living history. We will remember him fondly. 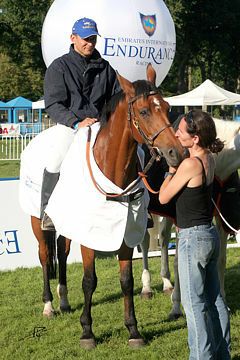 It is with a deep sorrow that we received the news about the passing away of Mr. Jay Stream following a short illness. Please accept our sincere condolences extended to all the “WAHO family” for the loss of Mr. Jay Stream, who has efficiently promoted the Purebred Arabian horses all over the world and confirmed himself as a universal father to us all. Please also convey our sympathies to Mrs. Dorothy Stream and her family. Nabil Nasrallah, General Manager, S.P.A.R.C.A. It is really a great loss for all who knew Mr. Jay Stream. On behalf of our Lithuanian Association, we express our sincere condolences to his family and the WAHO organization and hope that the memory of this outstanding person will be eternalized by his works for WAHO. I present my sincere condolences for the death of the great man Jay Stream. May God have his name in his misericorde saint. It is with sadness following the death of Jay that I present, on my behalf, in the name of the members of the Royal Moroccan Arabian Horse Breeders Association, and all the Breeders of the Arabian Horse in Morocco, my condolences to his wife Dorothy and to his family. We were really shocked by the very sad news of the sudden death of Jay Stream, the man who made WAHO a remarkable organization. With deep sorrow we convey to Mrs. Stream and to all the members of WAHO our deepest condolences. No doubt WAHO has lost a genuine, kind and hardworking man who was unique in every respect. The best thing we can do to commemorate him is to keep going on along the path he has set. His good deeds really deserve support from everyone who knew him or worked with him. We feel thoroughly touched by the sad and tragic information that Jay Stream, WAHO President Emeritus, has passed away. 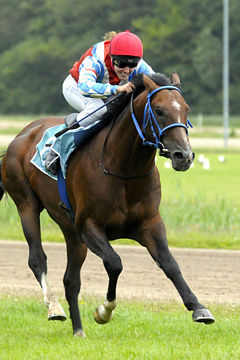 On behalf of the Polish Jockey Club and the Registry Office of the Polish Arabian Stud Book I should like to pass to WAHO the expressions of our deepest sorrow and concern. We should not hesitate to name Jay Stream the Father of WAHO. His great passion, dedication, strength and consequence made the Arabian horse world-unified under the WAHO flag irrespectively of the geographic and political borders. 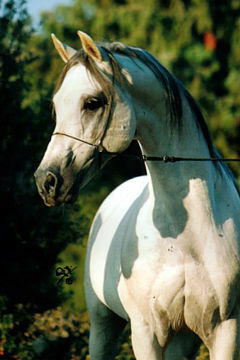 Thanks to Jay Stream the Arabian horse breed became universally known and respected. We wish to present our most sincere condolences to Mrs. Dorothy Stream, to their daughter and to all who loved him. Jay Stream will stay forever in our thoughts and memory as the exceptional and unique personality. May he Rest in Peace. 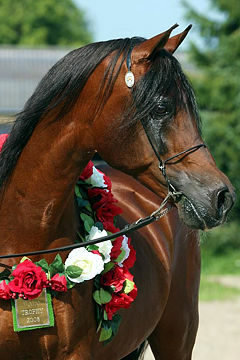 The Romanian Pure Arabian breeders and lovers, with sadness have received the news about Jay W. Stream passing away. He will remain for ever in our mind as a very special man, who was dedicated all his life to the Arabian horses of everywhere. It is with great sorrow that we learned about the death of Mr. Jay Stream. It is a blow to the industry, to his friends, to his family. He will long be remembered, as WAHO and Jay Stream was always one word. His commitment and dedication, his deep knowledge of the industry, his wisdom and kindness will always be in our hearts, in the hearts of the WAHO ‘family’. 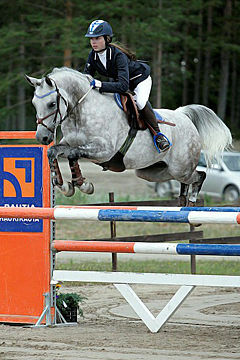 Please accept the deepest sympathy of the Russian horsemen who loved and respected him. With great sorrow we learned that Jay Stream passed away. 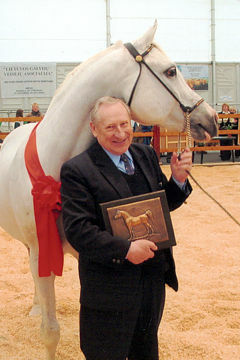 All Russian horse breeders involved in breeding wonderful Arabian horses knew Jay Stream as an extraordinary man and outstanding specialist of world level, as WAHO President he did so much for the creation and activity of this organization. 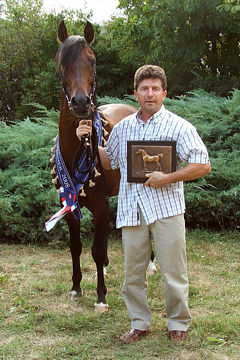 He did very much through his knowledge, dedication, and good will to the world community of Arabian horse breeders. His principle to treat everyone as equal without discrimination encouraged many Registries from different countries to become Members of WAHO. Thanks to Jay Stream’s commitment and hard work, the number of WAHO Registry Members increased to 70. 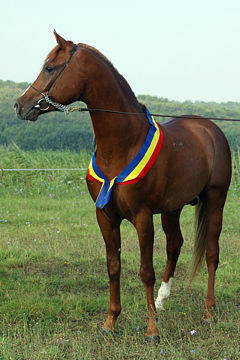 His help to the Russian Arabian Stud Book was really great. 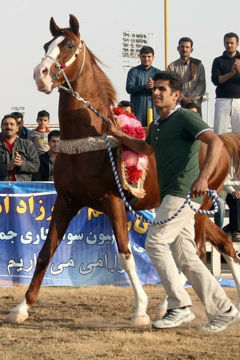 The name of Jay Stream, irreplaceable man, will be in the history of world Arabian horse breeding for ever. We send our condolences and best wishes to Mrs. Dorothy Stream, and to the WAHO President and Executive Committee. Like everyone, I am very sad about the death of Jay Stream. 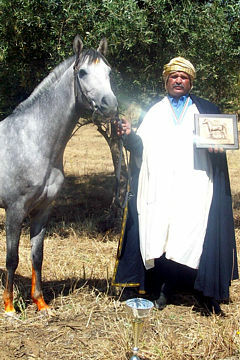 He was a friend of all of ours, and truly a friend to the Arabian horse. WAHO has become a very important unifying Organization. Saudi Arabia and I are proud to be a part of the family that he worked so long and hard to develop. He will always be the unforgettable force behind the Organization. My sincere condolences to the WAHO family on the passing of Mr. Jay Stream. I am very sorry to learn of the death of Mr. Jay Stream. He was truly a visionary and friend of the Arabian horse. Saudi Arabia will always be grateful to him and to WAHO for their support. I offer my most sincere condolences to the entire WAHO family. We have received the sad notice that Jay Stream passed away. In the name of all Spanish Stud Book employees we would like to send our condolences and express our pleasure to have had the opportunity to have known him. We are extremely sad to learn about the loss of Mr. Jay Stream, the President of WAHO for more than 30 years and a very special, kind and unique person. 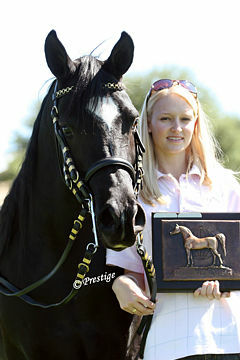 His passing is a great loss to us all, as the members of the Horse world. As the Jockey Club of Turkey, we extend our sincerest condolences at this sad time to all his family, friends, colleagues and the WAHO family. On behalf of the Council of the Arab Horse Society of Great Britain and Ireland, I am writing to ask if you would kindly pass on to the Executive Committee and members of WAHO the sympathy of us all on the passing of Jay Stream. We also hope that Dorothy is well supported at this difficult time. The founding of WAHO was an inspiration and has resulted in countries worldwide working together to ensure the easy import and export of Arabian horses. Through the foresight of the founding members and in particular the driving force of Jay Stream, the world has become smaller and the biennial conferences give people a chance to talk and work together for the future of the Arabian Horse. I only met Jay Stream once, in Australia, and found him to be a colourful and interesting man with great humour. WAHO will be the poorer without him but I am sure he would be happy knowing that it is continuing so strongly and that this year the conference is going to the centre of the Desert Arabian which is so exciting for so many members. Jay Stream was a bold and innovative man. The International Arabian Horse Association was brought from local to national prominence under his leadership, now the entire Arabian community has lost a great leader. It was a privilege to know him. 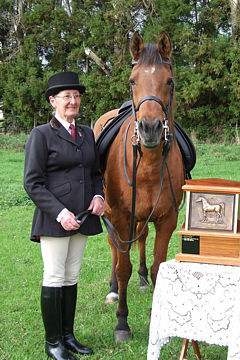 Karen Learmonth, Secretary of our Arab Horse Society, has told us the sad news that Jay Stream has passed away. Please could I ask you to pass on our sincere condolences to his wife Dorothy and family on behalf of the Arab Horse Society of Zimbabwe and personally from Dave and myself. It was an honour to have met such a strong ‘statesman’ with such devotion and a great character. It is with great sorrow that I read about Jay passing away. He was a remarkable President and I shall always remember him. In one of my first WAHO meetings I was deeply impressed how seriously but with a twist of humour he addressed Mary Gharagozlou about her Khuzestan horses application for registration asil saying ” Mary, are you sure about from which side of the mountain these horses came”? He got to simplify difficult questions always trying to make one feel comfortable. I believe we should keep his example not to stress too much our egoistic feelings and to look for new horizons to enjoy our heritage. 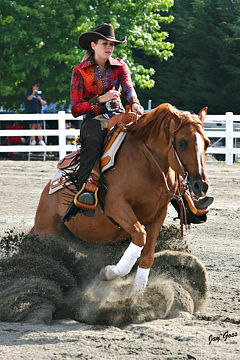 With the passing of Jay Stream, a great man has left the stage of the world-wide Arabian Horse Community. That it is possible to talk today about a “world-wide community” is entirely due to his efforts. For so long the idea to unite all Arabian studbooks and breeders under one umbrella and to create an overall accepted Definition for the pure-bred Arabian had occupied some of the best minds in the business. But there was so much divergence of opinion it had proved impossible – there were suspicions and mistrust which were usually strongly defended and deeply planted into the minds of many registries and breeders. All that was to change when a small number of optimists from different countries joined together to create an international association with the name of “World Arabian Horse Organization” (WAHO). Their choice of Jay Stream as chairman of the Steering Committee was to become a blessing for all Arabian horse breeders world-wide. His clear knowledge, relentless dedication to fulfil his obligations, his perfect conceptual way of thinking and remarkable willpower, paired with his inimitable humour, turned out to be the necessary requirements of a leader who could overcome all the previous obstacles to unity. It did not happen overnight, but our first President, Jay Stream, was a man who always ensured that he followed through to the desired goal. He was gifted with the ability to deal successfully with all of the people and the obstacles they presented in a very admirable but also decisive manner. WAHO remains primarily his creation and he put it on a footing which is guided by co-operation between registries and tolerance between breeders. He created WAHO in a unique style which demands respect and gave this Organization an ongoing high international status on the public stage. Behind the scenes, Jay Stream was able to listen and to accept corrections, but he also could reproach and surprisingly easily forgive. Vis-à-vis the public, he appeared as a great entertainer and he always made sure that he was right. People had to accept this, but also all the majority soon came to realise that this unique persona of Jay’s was the only way to achieve what had to be achieved. All those efforts over more than 30 years of his dedication to WAHO have created a solid platform on which our members can continue to rest securely. Enthusiasm for the Arabian horse and tolerance among the international community of registries, owners, breeders and Arabian horse lovers should never be lost. This we all owe to our unforgettable friend, Jay W. Stream. I first met Jay and Dorothy Stream when I was in my early 20’s in 1971 at the Stream’s Greengate Arabian Horse farm in California. I was immediately struck about how different Jay was to most people I had met in my short life. He came across as full of confidence and a presence that demanded great respect. I was at the end of an around the World trip at that time so had come across various other members of WAHO when in the United Kingdom and Europe, I had also just joined WAHO as an individual member whilst in the UK. I was impressed by Jay and thought that he was an outstanding President for such an organization as WAHO and he was certainly the person that WAHO needed as President. He always defended the Arabian Horse, its purity and the principles of WAHO vigorously. I was fortunate to represent our own Australian Arabian Horse Society at WAHO conferences for many years and then, as President of our Society, to work with Jay on the 2 WAHO conferences that have been held in Australia, in 1984 and 2000. I always found him a delight to work with on those occasions. Jay was a most influential President of WAHO and each Conference meeting I attended was always full of interest with him as President. Jay was always very interested in the people around him at any point in time and engaged in conversation with everyone. He was always full of interesting stories which not only were entertaining but were often educational. Jay was a great President and friend of WAHO and I, and I am sure the WAHO family, will certainly miss him. I wish Dorothy and her family all my best at this time. I found Jay a larger than life figure with tremendous charisma. I only knew him personally for a relatively short while as a member of the Executive Committee, although we had contact over many years at WAHO Conferences. He welcomed me onto the Executive Committee as an equal, and was very supportive when I was elected Treasurer. A WAHO Executive Committee chaired by Jay was like no other meeting, he held us all together through his example of fairness and friendship, and we had many amusing moments in between the more serious business of the meetings. He was always a ready ‘teller of tales’ of his early days with WAHO, and of his long life with Arabian Horses. He will be sadly missed by all who knew him. When I heard the news that Jay had passed away, I was deeply affected. I attended my first WAHO Meeting in 1980, when I was there to present our Uruguay Arabian Stud Book for approval, and I found there a very strong man – Jay Stream. He told us that if we presented the Executive Committee with our stud book the next day, with a stamp saying “Not Accepted by WAHO” on all the Shagya horses which were at that time included in the same volume, then WAHO would accept our stud book. That day happened to be a Saturday. So we found someone to make us the stamp, and we worked throughout the night stamping hundreds of pages to correct our stud book. The next day, Sunday, we presented the amended stud book. True to Jay’s word, our Stud Book was accepted by WAHO. From that day on, Jay and I became friends, and after a time he invited me onto the Executive Committee first as a Consultant, then as a full member. I feel very much that he was WAHO’s father, and in everything he did and in all his years as our President, he was a strong leader with the firm and visionary objective to create a world breeder’s family for the Arabian horse community. He trusted in the South American stud books and in the South American breeders, and we trusted him in return. He never wavered from his position that the South American stud books, and all the Arabian horses registered in them, should be accepted by all WAHO Member countries without restriction. So for that, for his friendship over the years and for everything he did for our Arabian horses, not just in South America but world-wide, I would like to say – “Thank You Jay”. Although I had been a member of WAHO since 1974, I had only ever known Jay Stream in his official capacity as President. It was not until the spring of 1998 when I was in California that I first got to know the real Jay. I was invited to his and Dorothy’s home to see their Arabian horses and have dinner. During the few hours I spent there it was so apparent how much this man loved his horses; how faithful he was to WAHO and its members; how loyal he was to his family and friends; how devoted he was to his wife Dorothy. During the evening we talked a lot about the Arabian horse industry and in particular, since this was something I knew a lot about, how Arabian racing had grown and developed. Jay wanted to know as much about it as possible in order to address any problems that might in future come before the Executive Committee. He then invited me to join the Executive Committee, as he felt someone with knowledge of the international Arabian racing scene would be useful to WAHO, and I gladly accepted. My first General Assembly as an EC Member was in Bahrain in 1998. I become aware at this meeting that Jay treated the Executive Committee as part of his family. The warmth and affection that he showed towards every single one of us was matchless. He was witty, funny and loved to tell a story. He was unselfish, a man who cared very much about people. He would be very hurt when he had to make a serious decision that he knew would upset others. But his decisions were all made in the interest of the Arabian horse. His passion for the Arabian horse worldwide was second to none. 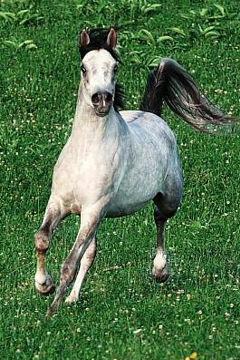 Without him and his beloved WAHO the Arabian horse would not have the standing in the world it has today. I met Jay Stream at the WAHO Conference of 1982 for the first time. I like to remember the WAHO conference in Sydney, where I was making a very strong point defending the stallion Sharkasi, and the first volume of the Saudi Arabian stud book. After I was done Jay turned and looked at me and said “Dr. Zaghloul, I admire you!”. From that very moment my admiration for him grew as well and so began a long and true friendship with him and his charming wife Dorothy. We have lost an honest and true man, a true friend in the time that true men and such friends are rare. At the 1992 WAHO Conference in Egypt I introduced Jay and asked him to proceed, referring to him as the “WAHO Maestro”. He was truly a natural leader of men, and one could listen to him speak all day and wonder where the time had gone. He was so knowledgeable and interesting. WAHO was Jay and Jay was WAHO. No member of WAHO will ever forget Jay. God bless his soul. I will always remember Jay as one of the greatest people that I have met in my life. Like all great people he gave the example not only by his words but most effectively by what he did and practiced. He managed to destroy all the barriers that separated people from each other, uniting them in achieving what was beneficial for all of them as a result of co-operation and understanding. With all the love and goodness he gave us all in the Arabian horse family around the world, Jay deserves our deep love and prayers. This is indeed sad news. The world of Arabian horses will never be the same again, his contribution to WAHO can never be emulated by anyone and his dedication to establish WAHO was just outstanding. I will miss him as a friend and a tremendous source of advice and down to earth commonsense. When I think about Jay, it is always with a smile. His great intelligence and stamina, together with his sense of humor, made him unique. Only someone as strong in character as Jay could get all the Registries of the World together and integrate them into one entity. He worked closely with his Executive Committee colleagues from around the world on the “making” of WAHO. It is gratifying to think how many important people have stood next to Jay over the decades, supporting him with the same vision, passion and motivation as he had, especially in those difficult early years when WAHO still had to be consolidated. The first WAHO Conference I attended took place in Hamburg back in 1978, when I was sent by the Argentine Registry as their Delegate, with the specific task of telling the Assembly that “the Arabian Horses of South America should be reinstalled as an approved source, since they were as pure as others.” Accordingly, during the meeting, I asked for the floor. Jay announced “Argentina”… and I spoke my piece. But when he heard what I had to say, he spoke out and said “Sit down, you trouble maker!” I could not believe my ears, I was speechless. It was my first Conference and I had never seen Mr. Stream before. A few years later my co-delegate, Marta Cossio, made a very important study on the South American horses that was called “In Search of Justice”. I went to see Doug Marshall, who was then the President of the American Horse Registry of America. Then I went to visit Jay in San Luis Obispo. We chatted and discussed the issue of purity at length and I left the document with him. Not long afterwards, Jay asked me to join the Executive Committee. He was the kind of man who, when he knew he had to change his way of thinking, he did it at once. Thereafter, WAHO and especially Jay became the greatest defenders of our cause, because he understood that the South American horses were as pure as many others. Now that Jay has left us, we have the task to continue his legacy and to retain the vision he had of the unity of the Arabian horse world. I first met Jay Stream in the year 1974 at the WAHO Executive Committee meeting in London. A year earlier I had started working for the Horse Breeding Department of the Poland’s State Studs as an inspector of the Arabian horse studs, being responsible at that time also for the stud books and international organisations including WAHO. I used to accompany Director Andrzej Krzyształowicz to the WAHO Executive Committee meetings as his assistant and interpreter. I remember my very first impression when Jay came into the meeting room and started his opening speech. His personality filled up the room. – he was radiating enormous strength and passion. The way he was formulating his thoughts was so logical and persuasive. I realised then that WAHO was his life goal and like his own child – the dearest object of his expectations, promises and love. At that time I was the only woman sitting in between those honourable members of what was then like a “gentlemen only” club and I was making heroic efforts to understand all the different variations of English accents as the Executive Committee members were from all over the world. Jay understood my feelings and treated me like his daughter with soft warmness and understanding. Every time when he saw me the large smile came up on his face and still to-day I can feel the cordial greetings of his warm hands. In 1988 when I was invited to join the WAHO Executive Committee, Jay gave me a hug, looked straight in my eyes and said: “I trust you as I trusted Andrew (Andrzej) Krzysztalowicz”. I will never forget that moment. 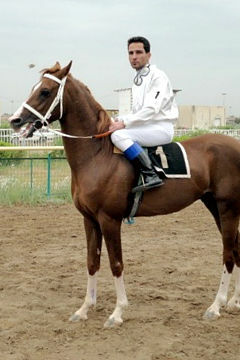 Jay Stream embodied the history of WAHO, it is as if a large part of the history of the Arabian breed and a part of ourselves has also passed away. In the USA there is an expression, “If a tree falls in the forest and there is nobody around to hear it, does it make a sound?” That expression came to my mind as I heard the news that Jay had died. I thought about how still things might seem to Jay at death and what a big sound he had made all his life. Jay was such a huge part of my life. To start working with him so many years ago, helping him with the International Arabian Horse Association, WAHO and on matters concerning his own Arabian horses was a dream come true for me. 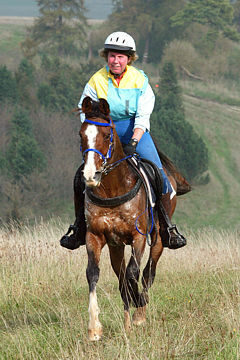 Dorothy and Jay’s farm in San Luis Obispo is a splendid, very practical horse operation. I lived there for 11 years between the sea and the mountains and saw year after year the exquisite mares have their foals. Jay had wound up his entertainment career of managing Wayne Newton, but the stories remained, as did his love of aircraft. He had a great sense of humor and loved to laugh. There was a hilarious little giggle that would come from that physically huge man. That in itself was enough to set everyone else off laughing. The love of the Arabian horse was seared so deeply in Jay. 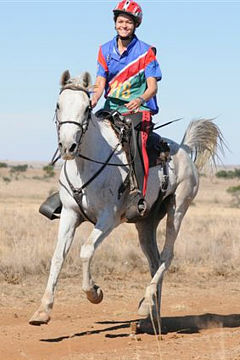 He was passionate about the horses and travelling the world and meeting other Arabian horse people was his pleasure. He spent massive amounts of time, energy and money promoting the Arabian horse and ensuring that the breed was well taken care of. When he met Ian Hedley and Ronald Kydd in England, he found kindred spirits and his direction for the Arabian horse was galvanized. I am honored to have served WAHO under his tenure and grateful for all the wonderful friends that came into my life forever. Through his political support of Governor, then President Ronald Reagan, Jay loved to tell the story that he had been offered a post as an ambassador for the United States and that he could pick his posting. He’d start giggling as he’d tell this story and say, “How could I choose one nation, when I can mess up the whole world with WAHO?!”. Jay will now know the answer to the question, his falling has made a tremendous sound. I consider myself fortunate indeed to have worked for Jay as WAHO’s Executive Secretary for the last 7 years of his 3 decades as President. Working with and for Jay was like no other previous experience. Although I was in UK and he was in USA, we spoke nearly every day on the phone, and each conversation was a delight in its own way. As all his friends will know, Jay was a master raconteur with a wealth of funny, entertaining or interesting true stories about his life, about his travels for WAHO, about the people he knew and the horses he loved, and I was always a ready listener. I can still hear that famous giggle of his as I write this. I treasured every moment spent with him. Jay was the greatest of mentors, for he entertained, enthralled, educated, and encouraged in equal measure. I learned an immeasurable amount from him, not just about Arabian horses, but about life in general. I particularly enjoyed watching his interaction with other people from all walks of life, he was genuinely interested in everyone he met. At the WAHO Conference in Australia, I recall one particular hotel waiter who was assigned to Jay’s table on the first morning. As usual, Jay was soon in bantering conversation with him and before long had found out all about the young man’s background and his future plans and ambitions. Thereafter this waiter looked out for Jay at every meal and even came in to work specially on his day off, just to spend a bit more time with him. That was the effect Jay had on people – they would go the extra mile for him, because they knew instinctively that he would do the same for them. People like Jay are rare indeed, I feel truly privileged to have worked for this unique man, I will think of him often and I will be one of the very many people from every corner of the world who will miss him greatly. I was deeply saddened to hear of the passing of Jay Stream. My thoughts are with his family, friends and WAHO colleagues. This is really sad news. Jay Stream was “Mr. WAHO” for me since I was a child. I can’t imagine WAHO without him. He has done so much and his work was very much appreciated here in Europe. My sympathy to his family and his friends. It is with great sadness that we learned of the passing of Jay Stream. He was a great man and a friend to many. 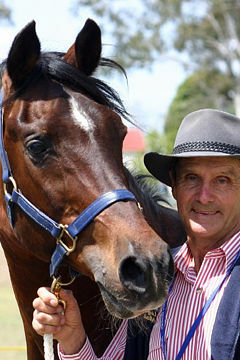 His contribution to WAHO and the Arabian Horse will remain a legacy forever treasured. I personally will always keep him in my heart for his support of our work with the ACCCA. Out of my love for the Arabian Horse I have made the deepest and best friendships of my life, none of this would have been possible without Jay. I just heard about Mr. Stream passing away and it has saddened me much. I am really sorry for what has happened, he was larger than life. My deepest condolences to Mrs. Stream, to his family, and to WAHO. It is with a great sorrow that I learned of the death of our dear friend Jay. I present on my behalf, in the name of my family and all the employees of the Royal Stud Farm of Bouznika, my saddened condolences to his dear wife Dorothy, his small family and his great family, that of the Arabian Horse in the world. What can I say in the face of such a loss? I am deeply touched and present my condolences to his family and to the family of the WAHO and to all the friends of the Arabian horse in the world. Indeed, knowing the richness that he brought to the world Arabian horse fraternity and having myself experienced his prolific contribution to this extraordinary world-wide success, I can only bow to his memory. It is an honour to be among those that will carry the flame to continue his work. I will ask our Association to hold a Minute’s Silence in Jay’s memory at our forthcoming Show on 12 February 2006. I was saddened to read of the passing of Jay Stream, a one-of-a-kind character who was single-mindedly devoted to guaranteeing the safe future of the purebred Arabian horse. It was a privilege to meet him at various WAHO functions. He was simply a guy who rolled up his sleeves and got things done – sometimes the seemingly impossible. And he always said what was on his mind – (and sometimes had to bite his tongue afterwards). As one of the founding fathers of WAHO, Jay built both an efficient organization and a “safe haven” that allows Arabian breeders and lovers from around the world to gather under one roof as colleagues, no matter what their personal politics or religions, and no matter what is grabbing headlines in the outside world. I am proud to say that some of my closest friends around the globe are friends that I met through WAHO – friends who share my love for the Arabian horse that it would have been impossible to meet otherwise. Participating in WAHO functions is always an extraordinary experience because it shows us what is possible for humankind; that when we share a common passion, we transcend our so-called differences, and can accept and love one another simply as human beings. WAHO is an appropriate model for a world where peace, tolerance, and acceptance are freely shared among all mankind. What an amazing legacy! What an amazing human being. My deepest sympathy to the Stream family and all who loved him. There will never be another Jay Stream. May God bless his soul and memory. Jay Stream, in this turbulent world, created and led an amazing international organization that peacefully united people of different cultures, religions and political backgrounds around the common goal – welfare of the Arabian horse. 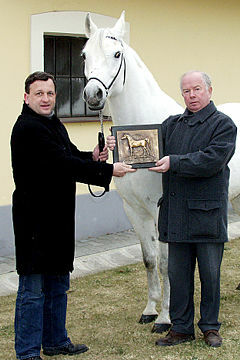 Poland should never forget Jay’s personal involvement in the recognition of the Polish Arabian Stud Book. 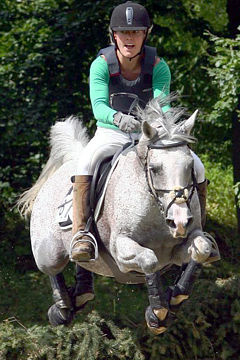 This has opened ways to bring Polish horses back into the international scene. Jay has joined his Polish friends: Andrzej Krzysztalowicz and Ignacy Jaworowski in the “better world”, where, I believe, good people have fine horses to enjoy. I trust we all will meet him there. It is very sad for us all in Russia who had the privilege of knowing Jay Stream to hear about his death. With sincere condolences. I didn’t know Jay Stream that well but he impressed me, being a very jovial man with a huge personality, he will be missed. I had a great amount of affection for Jay. Not many people understood our relationship. Although we had differences, we had many more things in common. He was an articulate and worthy adversary when he had to be but also someone I enjoyed engaging in “lengthy discussions”. My condolences. I am so very sorry to hear this, I really loved that man. I respected so much what he did, nobody else ever came close. We had our differences, but then we all do, such were through misunderstanding. This industry has lost a great man, a legend, and no-one can take his place, nobody has his courage, fairness and straight forwardness. He is my hero. I feel fortunate to have known Jay Stream. He was a hero to me. He left a legacy in his contributions to the Arabian horse that will endure in time and benefit many generations and horsemen around the world. Jay Stream was a man who commanded respect, never demanding it. He recognized good ideas and took action by getting involved and provided leadership to enable them to become reality. 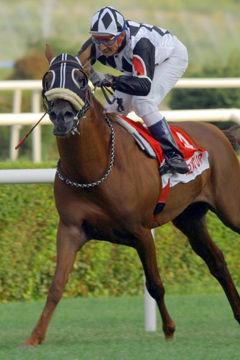 He leveraged his experiences in life to achieve greatness and etch his memory forever in the Arabian horse world. His compelling demeanour, firm grasp on the task at hand and his strong belief that you have to earn trust to be trusted formed the basis of relationships with him. Jay had a positive impact on the lives of many people – in the many interviews I have done, person after person revealed to me how influential and important Jay was for them and to the Arabian Horse Breed. His impact on the Arabian horse breed will be evident for centuries; people not yet born will be thankful and marvel at the dedication and accomplishments of this man. He was the right man at the right place who joined with like minded people to move the breed forward. I am thankful and grateful that Jay and Dorothy Stream took the time for me to interview them in 1999. Jay seized the moment and recognized this was his chance to tell his story in his own words, the way he wanted to be remembered. I will miss Jay as will thousands of others who knew him and had the pleasure of building a relationship with him. I will also be constantly aware of the principles and ethics he lived by and like he said to me “Never once did an Arabian Horse come to me with a problem, only people”. I’m so sorry to hear about Jay. I’ve known him for over 35 years from the early days of WAHO. He will be very much missed. So sorry to hear about the death of Jay Stream. He was such a dynamic and unique person. Jay Stream was my friend for over 35 years. I met Jay in 1970 at one of the first IAHA Judges’ Seminars. As the years rolled by I had the unique opportunity to work with Jay on several projects for the Arabian horse. His uncanny ability to see the future and never lose sight of the end goals was an inspiration to me. Jay was one of a kind. 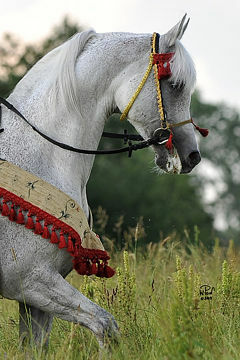 His devotion to the Arabian horse is unsurpassed. Farewell, Jay Stream! 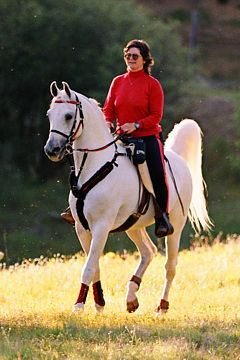 May you be found riding some of your beloved Arabians forever in the hereafter. 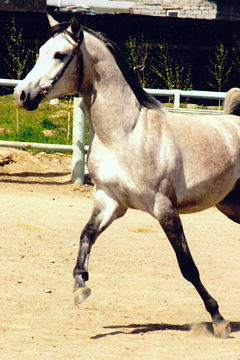 A better friend the Arabian horse has never had. It is with sadness we received the news that Jay Stream had passed away. 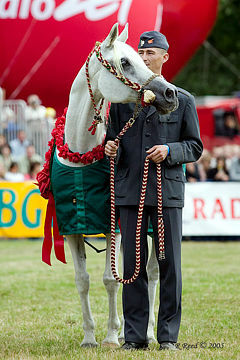 We didn’t know him well, but respected him for all the work he has done for the Arabian Horse and as President of WAHO. We felt he was an honest and a good person. We first met Jay and Dorothy Stream in 1963, while showing at an Arabian Horse Show in Madison, Wisconsin. It was an amazing “instant” friendship. It was great fun as my husband Paul laughed and talked with Jay, as they told stories about Arabian hroses. When Jay went to leave, he said to me “I will be back tomorrow, so remember my name”. Sure enough, the next morning he was there, big smile on his face and said, “Do you remember me”? I proudly said, “Yes, you are Mr. Creek”. He laughed so hard, and I was so embarrassed, but his big bear hug let me know I had his forgiveness. Our 5 children loved Jay, and he was so kind to them. 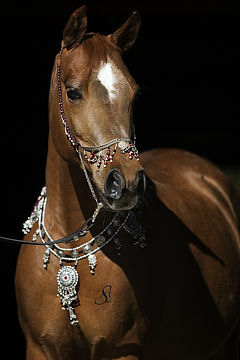 We are California farmers, and have always loved Arabian horses. If not for our Noble Breed, we would never have met this truly great man. When Dorothy called, I could not make my heart and mind stop the sadness. We will never forget this kind, great, humorous man, and all the special friends we met through his beloved WAHO.